Vandal, graffiti writer, street artist, fine artist, Eine has over twenty years experience of drawing a crowd. The former master printer at UK publishing house Pictures On Walls takes deceptively simple typography to a new level with iconic lettering which graces storefront shutters and city walls throughout the world. 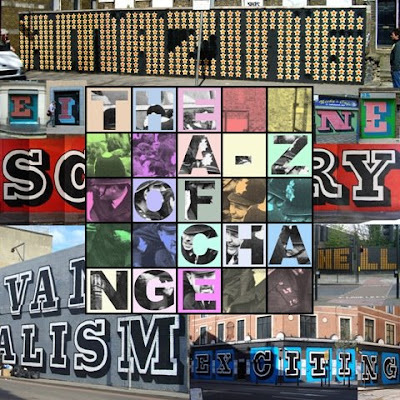 Eine has enjoyed successful group and solo shows at galleries throughout London, Scandinavia and the US and has participated in numerous art events and festivals, including Santa’s Ghetto (2004-2007) and Nuart (2007). His work has been featured in numerous books, magazines and other publications. Eine most recently entered the Guinness Book of World Records for hand-pulling the most colors (78) in a silk-screen print.